THIS month sees the paperback release on this website of our latest novel, which is rather unique. 50 Shades of Bass is already available on Kindle (see Books page, right). I had not intended writing another novel after A Punt Into Eden, which felt like my best achievement to date and completed a round dozen books. But then the building opposite our home here in Great Marton, on the Fylde coast of Lancashire, was sold and underwent alterations. Like much of this area, which was once a village, it was old and perhaps past its best. In living memory it had been a fish & chip shop then, most recently, a Chinese takeaway. She Who Knows and I feared it might now become a late-night kebab place and ruin our sleep, but we need not have feared. It was being tastefully restored as a private residence. Old stone walling was revealed; beer barrels were found in a cellar, and a date stone above its doorway discovered and allowed pride of place - showing 1857. 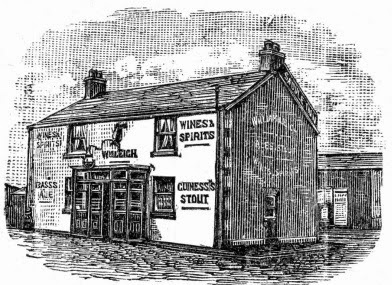 It turned out to have been a Victorian pub, long forgotten locally, but once known as the Lord Nelson Alehouse, after the famous British admiral and hero of Trafalgar. This ever present reminder of the past stirred my curiosity about local history. My 'local' pub of choice, the Saddle Inn, dates back even further. 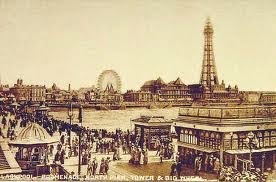 Wouldn't it be fun to write a novel set here, in those lively Victorian times - which saw the coast and resort of Blackpool grow so rapidly? This idea took root, aided by a crime and tragedy I'd noticed in my own house 'deeds', or history of ownership. This showed some skulduggery in the past and hinted at a wider story. 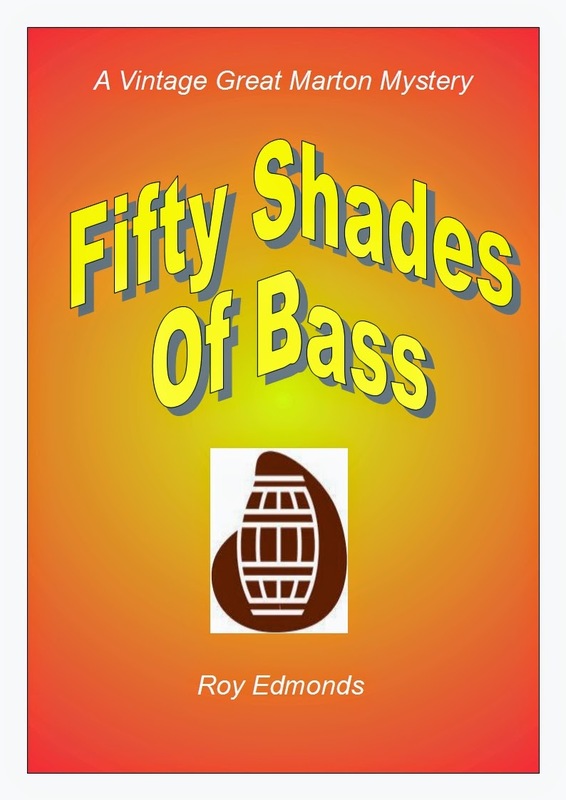 A regular at the Saddle suggested I might spice up this fictional tale, throw in plenty of local characters - past and present - then entitle it '50 Shades of Bass', as Draught Bass was - and still is - its best selling 'real' ale. The title appeared so popular to others listening that I did just that, and immersed myself in a round of local history talks with eminent experts who shared their time and knowledge generously. I hope you like the result. She Who Knows approves, which is always encouraging. Details of how to obtain the novel, and our other publications, are on the Books page. As a 'taster' there are several chapters you can read now on the Chapter/Story page, which also has sample excerpts from other books as well as stand-alone short stories. Finer thoughts, from me and others more talented, can be shared on our regularly updated Poem page. Finally, with holidays in the air, you might enjoy our travel anecdotes, on the continually moving Memoir page. Thank you for your interest and let us share your thoughts or comments in return. Enjoy the coming summer sun but also savour that relaxing shade . . .